The project investigates the effects of extreme conditions on marine energy generators when installed as a single device or in arrays or farms. By combining the results of experiments, computer predictions and real life expertise, the research will enable the industry to produce, design and manufacture better tidal stream turbines (TST) that can be optimised to suit the prevailing sea conditions. Deployed devices will need to remotely monitor their condition and manage their operation during their life time. This research will deliver a system that will allow the owners of the devices to remotely monitor their condition and performance to ensure they achieve optimal energy production whilst maximising their life span. This will enable the electricity suppliers using this source of renewable energy to achieve the best possible long term economic performance. Finally, the environmental impact of such installations will be considered to ensure the positioning of these devices is not detrimental to the surrounding sea, coast and seabed. Characterise the performance of a generic TST under realistic operating conditions of depth-varying and fluctuating velocity profile, arising from the combination of tidal current and depth penetrating severe wave motions. 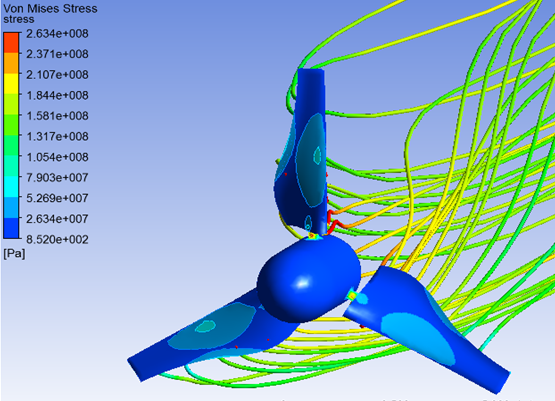 This analysis will include dynamic and yawed inflows, possible stall conditions and near-field wake characterisation. Investigate the impact of these realistic conditions on TST reliability, maintainability and survivability, with special attention to potential stress cycling and fatigue issues. Provide design and analysis tools to support the decision making process undertaken when considering the placement of TSTs.